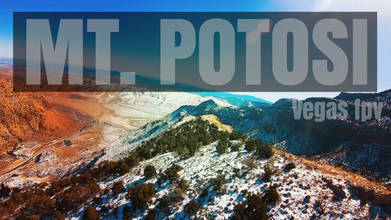 About 30 miles southwest of Las Vegas, Nevada in the Spring Mountains, Potosi Mountain rises to 8,517 feet. It is infamous because of a crash that killed 22 people, including actress Carole Lombard in 1942. JU5TbyCHANCE explored the area with his custom FPV setup on his last day flying around Vegas. We are so glad he made the stop. Flow through the mountains with this FPV Pilot to Watch video.